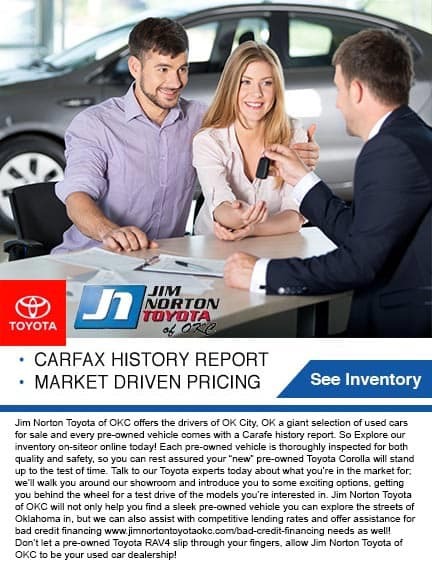 Finding your new Toyota car, pickup truck or SUV at a great price near Edmond, Yukon and Oklahoma City, OK is easy when you shop at Jim Norton Toyota of Oklahoma City. Our full-service Toyota dealership stocks a huge inventory of new Toyota vehicles and used cars for sale. With financing staff plus Service and Parts Departments on-site, Jim Norton Toyota of Oklahoma City can be your one-stop-shop for all things automotive in Oklahoma City! Looking for a new Toyota to drive home? From versatile crossovers and SUVs like the new Toyota RAV4, Highlander and 4Runner to top-selling Toyota sedans like the new Camry and Corolla, you can find every new Toyota model here at Jim Norton Toyota of Oklahoma City in strong supply. Browse our large collection of new Toyota vehicles in Oklahoma City today to find your next car, pickup truck or SUV at a fantastic price! When shopping on a tight budget or for extra value, explore our late-model used cars for sale from Toyota and other popular automakers; we even stock pristine, Certified Used Toyota Vehicles! The seasoned finance specialists at our Finance Department are here, ready to assist you in getting a low rate on your car loan. Our Service Department is home to Toyota Master Certified Technicians who are skilled in the maintenance of Toyota cars and all other makes. From new tire installation, wheel alignment and brake service to engine tune-ups and oil changes, our Service Center does it all! If your ride needs to stay with us for a larger repair or maintenance, we'll go over our shuttle service or talk to you about the rental you're interested in. Our dealership even offers exterior car washes, be sure to ask us about the details today! 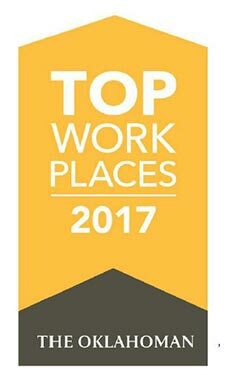 Visit Jim Norton Toyota of Oklahoma City today for great rates on our Toyota products and services.